Katherine Marsh is the Edgar Award-winning author of "The Night Tourist "and" The Twilight Prisoner." She spent a decade as a journalist, including as a reporter for "Rolling Stone" and as managing editor of "The New Republic." 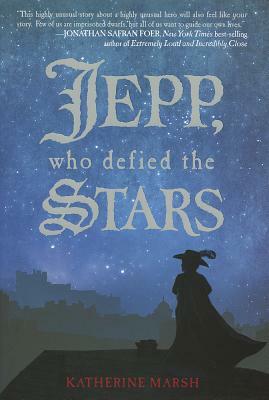 For her latest novel, "Jepp, Who Defied the Stars, "Katherine drew on her childhood fascination with the portraits of court dwarfs by Spanish painter Diego Velazquez. A New York native and a Yale graduate, she currently lives in Washington, DC, with her husband and two children.